The butterfly symbolises change, so our stunning deep purple scarf featuring big bold butterflies and flowers, would be ideal for someone about to embark on a new venture. 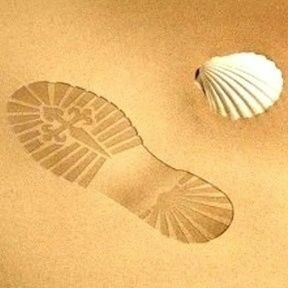 Or it can remind us to make changes when the opportunity arises. The Butterfly calls on us to expand our awareness, spread our wings and move forward with joy - and find our own place in life. 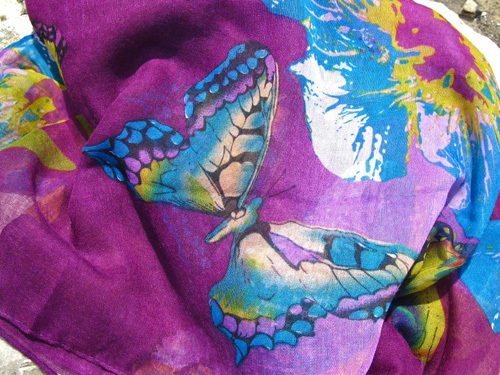 Our fabulous deep purple butterfly scarf is a truly inspirational gift, full of spiritual meaning. Comes gift-wrapped, like all our presents (with an information card) - and we can print a personal message on your behalf.